- SCF provides comprehensive training to children (aged between 6 and 16 years). This includes theory and practical sessions, headed towards all-round personality development. - Separate Programs for Cricket, Soccer, Basketball, Tennis & Swimming - Open for All. - Highly Profile, Specialist & Trained Coaches (Ex-National & International Players). A kiosk of innovative ideas with upright poles of enthusiasm, Green Chili acknowledges the prominence of sports in our nation by piloting sports event and highlighting the brands associated. 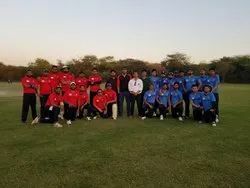 Green Chili has been perceptible in the arena of sports management since 2011, proficient in organizing Inter and Intra corporate tournaments. 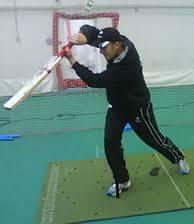 We provide service of Cricket Coaching Classes Services. Flying, by itself, is not inherently dangerous but to a greater extent than the sea, it is cruelly unforgiving of any incapacity or neglect. Fly is the only Aerosport club to have pilots with professional licenses. At The Celebration Sports Club there is always a sport out there for you. Don't worry about your age or if you have never done anything before. Just get a membership and give it a go. If one sport does not suit, try another! outdoor facilities available includes Football, lawn tennis, swimming ect. India, a country of more than 1.2 billion people can only collect an average of less than one medal per Games. It would be untrue to say that India does not produce good sportsmen and women. There are many reasons if we dig deep further into this. Sport is a metaphor for overcoming obstacles against great odds. Athlete in time of difficulty, can be important role models." The importance of sports in the life of child is invaluable. Experience the thrill of a hunter with the relaxation of monk as your lethal arrows fly towards the target. And hopefully hit the target.